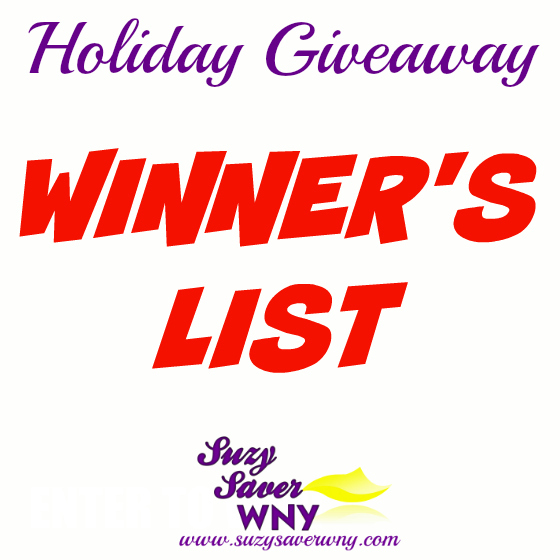 The Winners from all of Suzy’s 2018 Holiday Giveaways will be announced here. Thank you to everyone for participating in our 2018 Holiday Giveaways this year! I hope you all have a wonderful Holiday with your family and friends. *Winner(s) will be contacted by email after the giveaway ends. This giveaway is sponsored by Suzy Saver WNY. Winners must be a resident of the continental US and must be 18 years or older. Winners will have 24 hours to respond and claim his/her prize, or a new winner may be selected.